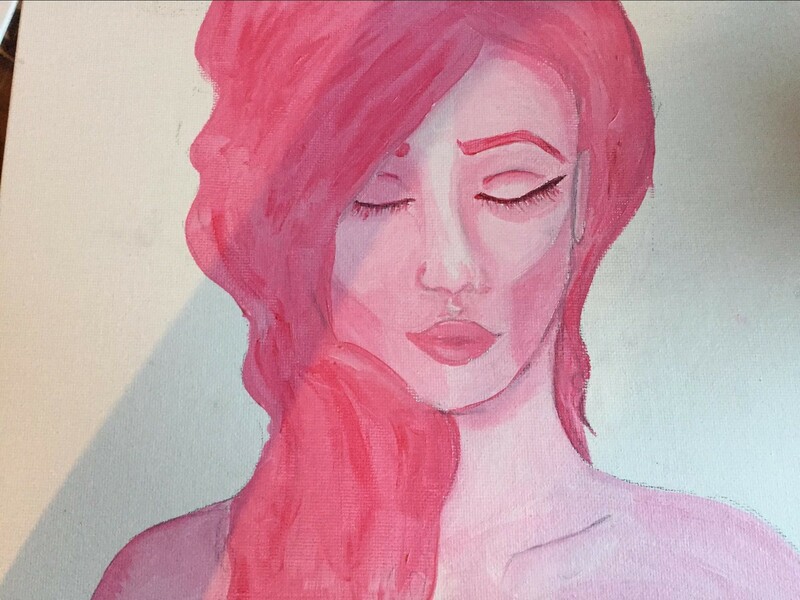 Addy Neilly, a sophomore at Johnson High School, is an aspiring artist perfecting her skill. 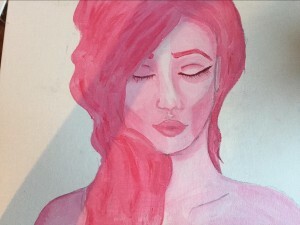 Focusing mainly on painting and drawing, she has been included in many student art shows such as North East Independent School District’s “Night Gallery,” an annual secondary student art exhibit. She shares with us her inspirations and aspirations as a young artist, and maker. 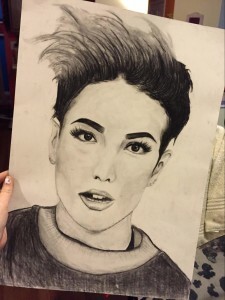 Madison: What is your art inspired by? Addy: My art can be inspired by many things, but most of the time it’s just my feelings. I try and express myself through this medium and it’s almost therapeutic. There are times where it’s just random thoughts running through my mind. I definitely can’t live without an eraser. I make a lot of mistakes. A lot. I also need a couple different pencils sometimes with different lead type so I can get a desired effect. What art style do you identify with the most? I identify on two different sides of the spectrum. I would say it would be realistic and cartoonish. I love doing portraits but I love creating my own characters with no boundaries. I can be abstract which is calming because there are no guidelines. There are some Instagram accounts that I follow, like Laia López. I absolutely love her style. It’s so cute and clean but it still makes sense. I love it, as well as one of my friends, Hannah Barnes, she’s amazing and so talented. My dream project … that’s kinda difficult because it’s more like a lot of little projects put together. I want to start up a YouTube channel for my art so I can create tutorials and speed drawings for others to watch. Where do you think your art will take you? I hope my art will take me all over the world and I can make a living off of what I love. Of course, it will be tough at first but I’m hoping as time goes on I will gain popularity in my art. I plan on pursuing it all through college. Why do you think art is important to the world? I think it’s important because it gives an escape from reality. It lets you see something that maybe wouldn’t be possible in this life. How has your art progressed over the years? My art has progressed tremendously. I’ve been drawing, sculpting, and painting for as long as I can remember. I’ve grown a lot as an artist and I have many different techniques I use to achieve it. What piece is your favorite? Well … I’d have to say one painting I made of Jack Barakat (from the band All Time Low). I had given it to him at a signing and he really seemed to like it. I don’t know why I like it so much but I do. If you’d like to learn more about Addy, e-mail addyraee06@gmail.com.